Police have a duty to protect and serve the citizens who live in the communities they patrol and their property. They put their lives on the line to keep offenders off the streets so that law-abiding residents may enjoy a safe place to work and live. At times, police officers may seem to go too far when pursuing a suspect. It’s possible that at any moment, you may be subject to police questioning. It’s crucial to understand your rights when interacting with law enforcement officers in and around Orlando. How do I interact with police in a public place? It may be intimidating to be approached by police officers in uniform while going about your business. Law enforcement officers in Central Florida and elsewhere have certain powers that help them maintain the safety of the communities they serve. One of these powers is stopping people and asking them questions. As a citizen, you are encouraged to cooperate with police officers in their investigations. You are strongly advised not to lie to police — you could face consequences for “obstructing a police officer.” However, you should know that you do not have a legal duty to answer their questions, and you may invoke your right to remain silent. To learn whether you are involved in a casual encounter with police, you may ask the officer politely if you are free to go. What do I do if police stop and question me? Police may detain individuals for a length of time for questioning. It becomes apparent you are being detained when you feel that you are not free to go. Police may use threatening language or a harsh tone to indicate that they are in control. If an officer pulls out a weapon, it is apparent you are being detained. The officer should have reasonable suspicion of your involvement in a crime to restrict your freedom of movement. He or she may have to prove their suspicion in court at a later date. The most basic information you should provide police officers in these situations is your name, address, and date of birth. Otherwise, any additional information you disclose may be used against you in court. Will police tell me when I am a suspect? Police do not have to tell detainees that they are suspects in a crime; therefore, they do not owe you an explanation as to why you are being held. If you hear your Miranda rights, you can deduce that the officer questioning you suspects you have broken the law. You still have the right to remain silent by stating that you wish to remain silent or speak with a lawyer. Can an officer search me if I am merely being questioned? Under Florida’s stop and frisk law, a police officer may temporarily detain a person and ask for ID if he or she believes that the surrounding circumstances reasonably indicate that the person has committed, is committing, or is about to commit a crime. An officer who has detained you under this law who believes that you are armed with a dangerous weapon may search you to the extent necessary to confirm the presence of such a weapon. If the officer finds the weapon, he or she may seize it. If the officer has no reasonable suspicion of your involvement in a crime, you may refuse to consent to a search of your person, vehicle, or home. While interacting with the officer, it is best to avoid arguing with or resisting him or her as you could face criminal charges. Understanding your rights when interacting with police is vital to ensuring that police do not abuse their power. If you feel that the officer(s) with whom you engaged overstepped their authority, you may be able to work with a criminal defense lawyer to seek justice. If you have been unlawfully arrested, an attorney who handles such cases can help you clear your name. Lawyers with the Umansky Law Firm have over 100 years of combined experience handling a wide variety of legal issues. 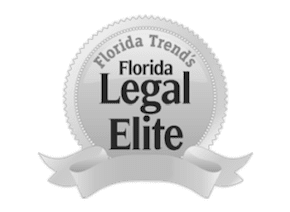 Our criminal defense lawyers in Orlando are dedicated to resolving your case, whether you face criminal charges or have been wronged by public servants. Call 407-228-3838 for a free consultation, chat with us on our website, or click here to complete a contact form.